Paper Nest Dolls: Tea Time anyone? Hi there! 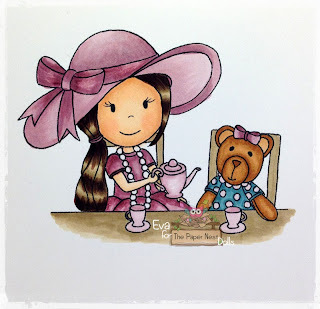 Today I`m going to show you the cutest stamp ever:-) It`s called Tea Time with Teddy, and when I saw it, memories from my childhood came popping up into my head. Sweet memories of a happy and playful childhood:-) I love it! Did you ever play like this? Hope You like my card, and make sure you`ll pop back here tomorrow for some more inspirations from one of the other DT members. 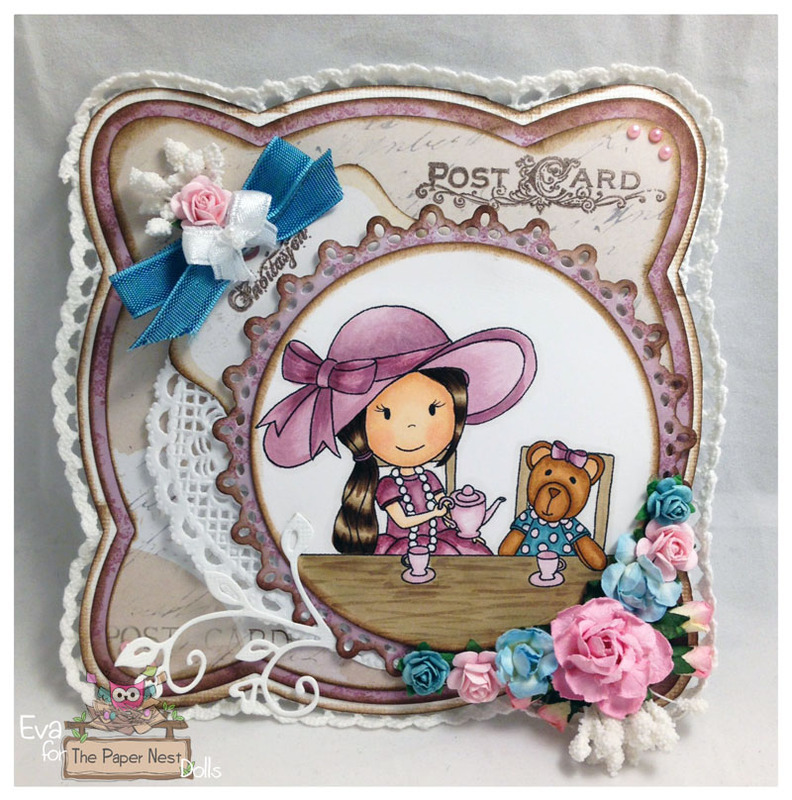 What and adorable card, love all your details, just wonderful!